2 Weeks Club is a group of car friends that came together to help each other grown. Not only in the car world, but also in life. They enable each other to do better. The bond of friends that was built with the idea that auto shops constantly give false ETA of when the car will be completed. 2 Weeks Club was in need of a logo and a simple text design was based on old lettering of automotive signs. The logo brings the nostalgia feeling of the old era of the automotive world. Each time 2 Weeks Club has an outing a sticker will be made for the event. Kind of like collecting badges in a Pokémon game. Bellow was a Dim Sum event where the group got together to have lunch. 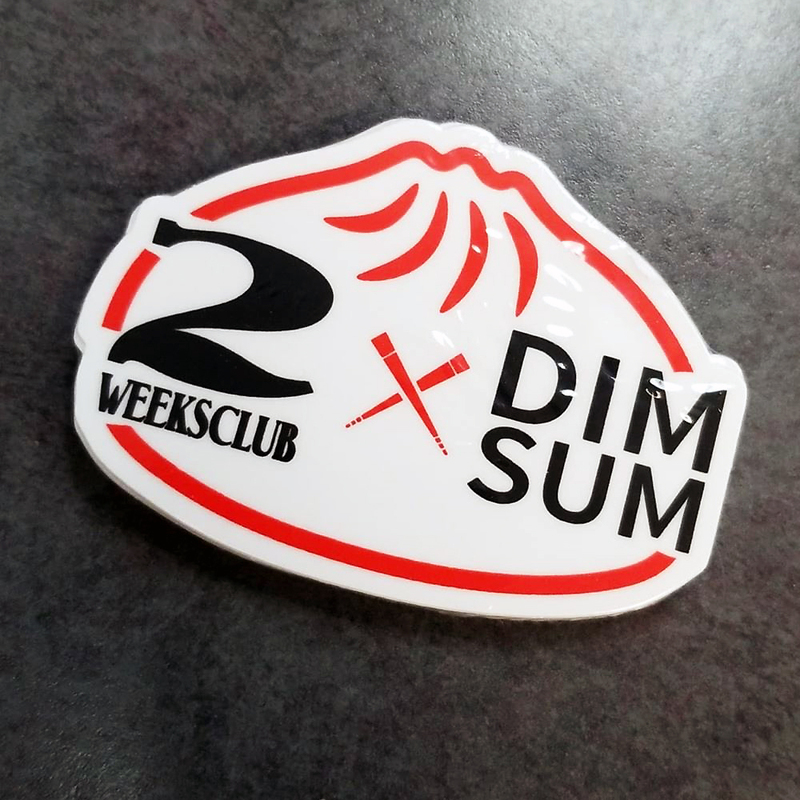 2 Weeks Club asked for a sticker to be made for one of the group members, it was an inside joke that sprouted to into an actual design. 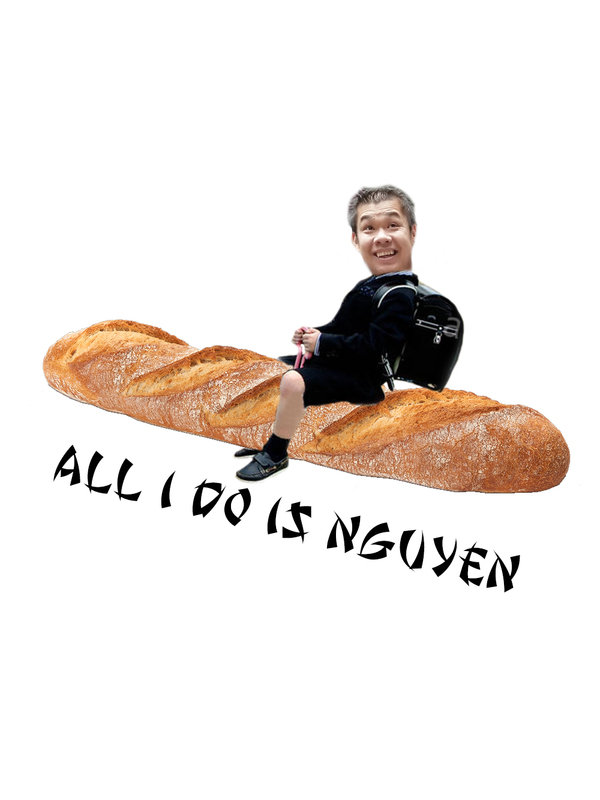 What was requested was the member to be riding a baguette. The request gave me idea of a child riding a rocket. Which produced the idea of one of the members riding a baguette with a childs body. 2 Weeks Club wanted to make sweaters that the group can wear. The logo was based on a member in the group. It all started with the idea of the person last name Ngo, which is pronounced like no. 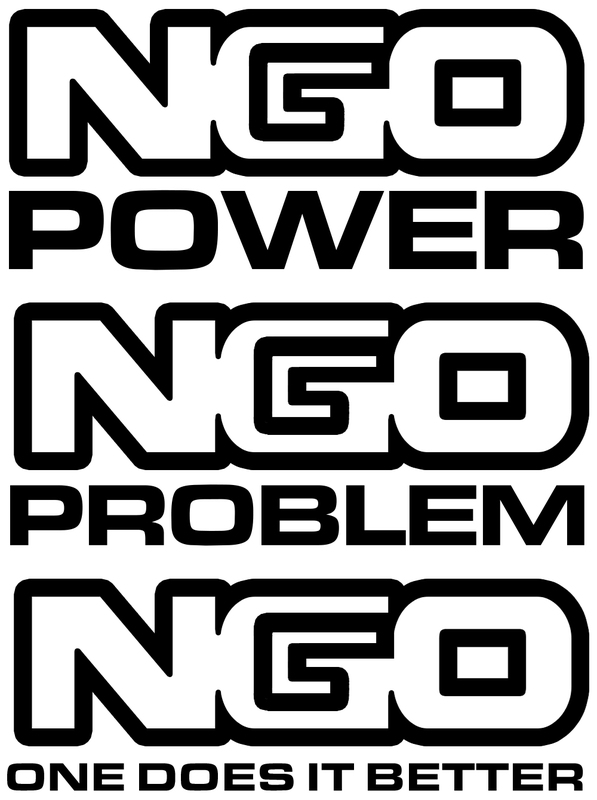 So the slogan Ngo Power, Ngo Problem, Ngo One Does It Better was created. 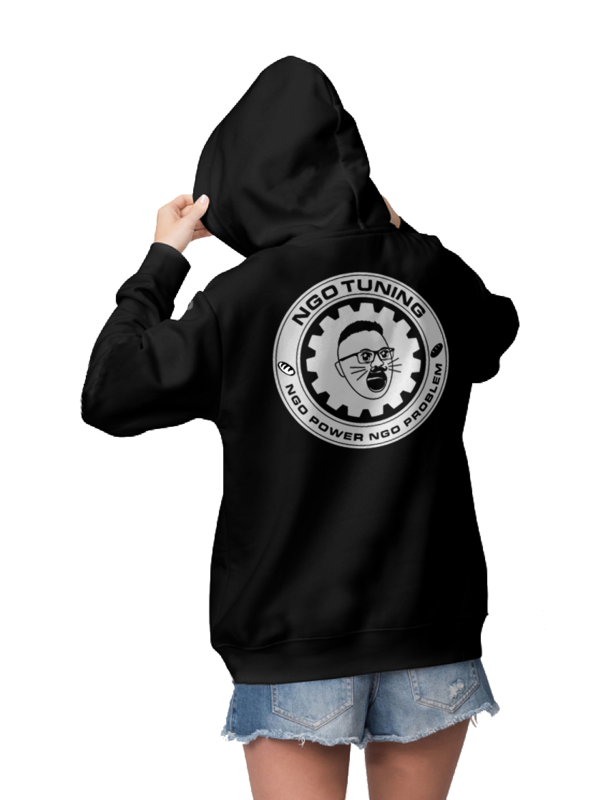 Because this group is an automotive based group, the main name for this was Ngo Tuning. The slogan was deigned based on customers request. 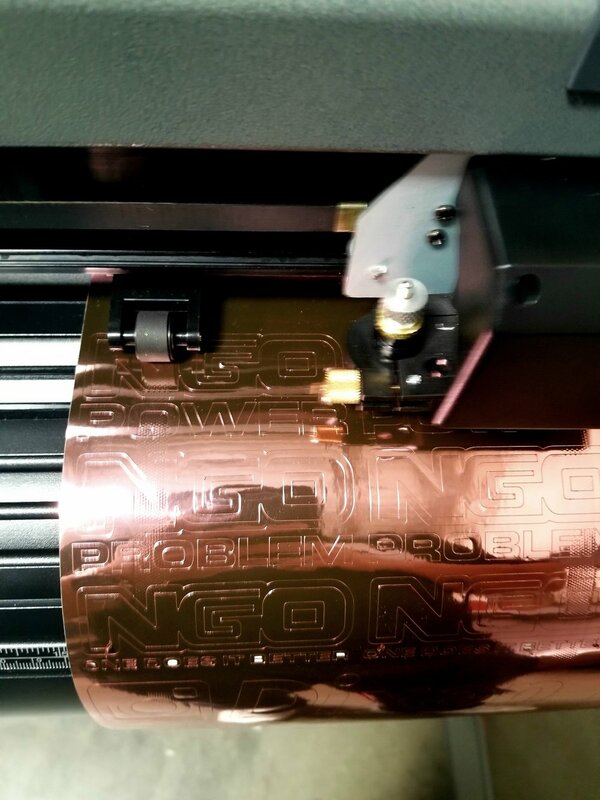 Once it was approved the, the logo was sent to the vinyl plotter to be cut. There were two design made based on the customers face. The face was animated into a cartoon/anime inspired character. Then the Ngo Tuning and Ngo Power Ngo Problem was incorporated in to the design. To tie this together, baguette was included into the design, as it is an inside joke within 2 Weeks Club. The second logo created added the Kawaii effect (Kawaii (かわいい, pronounced [kaɰaiꜜi]; "lovable", "cute", or "adorable") The final decision chosen was to have the Kawaii version screen printed on to the sweaters.